Canon has unveiled the successor to its popular 60D camera, the EOS 70D. The new mid-range camera packs a few improvements over all other Canon SLRs including a newly designed 20.2MP Dual Pixel AF sensor and the 19-point AF system. The 70D also sports a new viewfinder with 98% of frame coverage, a 3" Vari-angle LCD touch screen with 1,040k dot resolution, continuous shooting mode up to 7 fps, full HD 1080p video recording at up to 30fps, and built-in Wi-Fi connectivity. The camera will be available at the end of August for about $1,200 (body only), $1,400 (with the EF-S 18-55mm lens), and $1,550 (the EF-S 18-135mm lens). 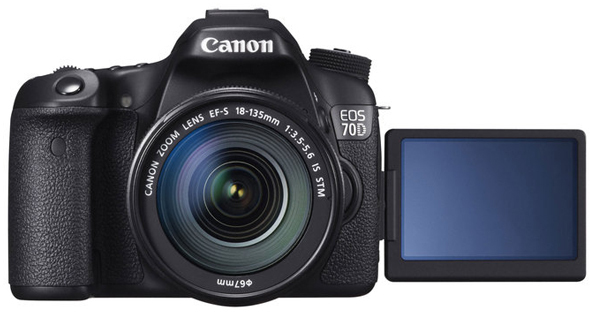 Canon today unveils an outstanding new addition to its world-famous EOS series – the EOS 70D. Designed for aspiring enthusiast photographers, the EOS 70D is the ideal camera for anyone looking to take their photography to the next level. 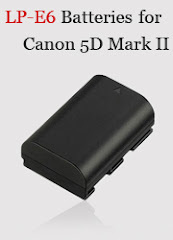 It combines completely new, world-first Canon imaging technology with powerful, creative and wireless sharing features – delivering a responsive, all-purpose camera ideal for capturing the moment with stunning images and Full HD video. The EOS 70D features a new 20.2 MP APS-C CMOS sensor, designed and manufactured by Canon. It’s the first Digital SLR in the world to feature ground-breaking Dual Pixel CMOS AF technology, which delivers smooth and accurate autofocus (AF) when shooting Full HD movies and fast AF acquisition when shooting in Live View mode. Paired with the 14-bit DIGIC 5+ processor and 19-point all cross-type AF System, the EOS 70D captures incredible, full resolution images at up to 7 frames per second, with up to 65 JPEG or 16 RAW images in a single burst¹. Additionally, a native ISO range of ISO 100-12800 enables photographers to shoot in lower light conditions and use faster shutter speeds whilst retaining high image quality.